Need a hire car in Goondiwindi? We can help with that. Once the search box has been filled in with all of your travel details, you will be taken to a list of available hire cars to choose from. Select the best hire car from the huge variety of vehicles from the most outstanding hire car industries like Avis, Hertz, Budget, Thrifty and Europcar. We provide the best customer assistance. Contact us anytime and we will make sure to satisfy your inquiries. Goondiwindi is approx. 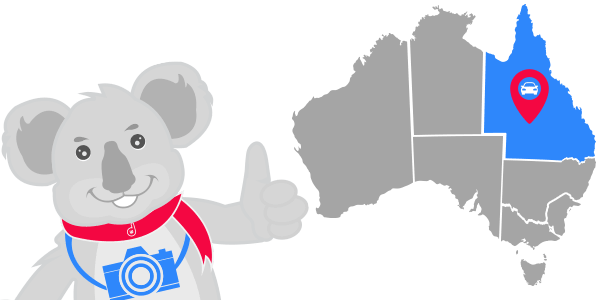 370 km hire car drive south west of Brisbane and lies on the Queensland and New South Wales border. It has been described as being the gateway to the Western Downs and with hire cars from Bargain Wheels, is accessible via the Newell, Cunningham and Leichhardt Highways. The McIntyre River provides a beautiful scenic backdrop. The Goondiwindi Botanical Gardens is a great place for a family picnic with over 25 hectares of gardens and native flora and fauna to enjoy. The Riverwalk in Goondiwindi provides you with a 2 km walkway where you can stroll along the riverbank and be entertained by the colourful birdlife after parking your hire car. There are numerous parks in Goondiwindi that are well maintained and offer play equipment and picnic tables. Visit the Apex, Lions, The Oval and the Water Park in a hire car to enjoy a bbq. You have many options when thinking of accommodation, dining and entertainment in Goondiwindi, and your shopping needs are also taken care of. If travelling to Goondiwindi or need hire cars while there, then give Bargain Wheels Car Rental a call. Dining options made easy in Goondiwindi! New Dynasty Chinese Restaurant – A family run business with an extensive menu. Old Chinese flavour, good service, clean and comfortable setting. You’ll never expect to find such a good Chinese restaurant in Goondiwindi. All of their dishes are great, decor and everything is nice, and the service is very good. If you love Chinese food, halt your hire car and indulge yourself to their well presented and excellent menu. The Townhouse Restaurant –It is located at the Country Comfort Goondiwindi and is highly regarded by the locals. Drag your hire car and taste their menu. For their specials, they have 250 g eye fillet, crispy beef cheeks, baby spinach, spring green veggies, rosemary butter, red wine jus, and seafood platter of barramundi, salmon, scallops, prawns, and calamari. Park your hire car and you may also treat yourself to one of their cocktails, mojito, cosmo or a bellini. They also have great wine and beer selection.